I've found myself in need of transportation. I recently moved to Daegu, South Korea and couldn't bring my car. In fact I sold it before coming over. I have the option of getting a car, but since I'll only be here for about a year I figure it's more trouble than it's worth. I hate bumming rides and it's a couple of miles to the subway station. So far I've mostly gotten around on foot, which on the plus side has made it no problem to get in my steps with fitbit. I've actually lost a few pounds too. I needed something to get around a little more efficiently though, so I decided to get a bike. Enter the 2015 Trek 7.2 FX. I've had several bikes in the past, but none of them were really set up just for getting around a city. The Trek is very setup for this with its upright seating position, flat bars, 700c wheels with 38cm tires. It's got all the lugs you could need for as many add-ons as your legs and wallet can afford. It worked out that there was a trek dealer right outside the gate and he spoke enough english. ₩460,000 and a week later, it was mine. As it came it was more than enough to get around. I borrowed a helmet and used my backpack for everything. Eventually there were a couple of things that I thought needed to be added though. The first was a kickstand, and the second was a rack so I could carry more. 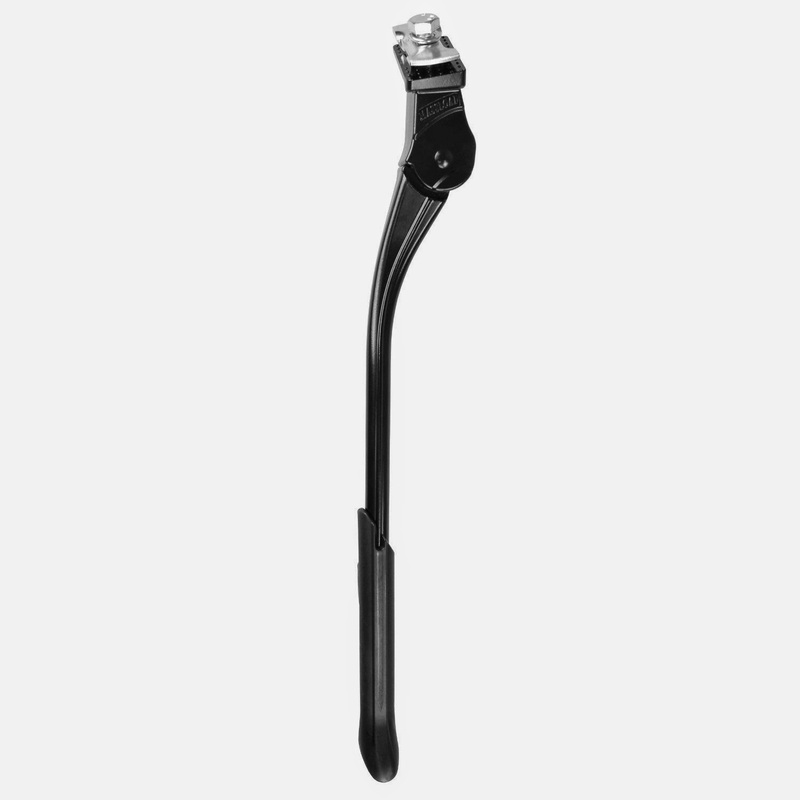 Growing up, it was just natural that a bike had a kick stand. I guess somewhere along the way they got to be uncool for adults and now they don't come standard. I guess that makes sense for a road or mountain bike, but for an everyday commuter it's a necessity. I ended up picking up the BV Adjustable Kickstand and it has been working great. I'm a little worried about the long term durability of the plastic on the bottom, but the whole thing feels sturdy. Not bad for $9.99. Last, but not least, my wife got me an early Christmas present. 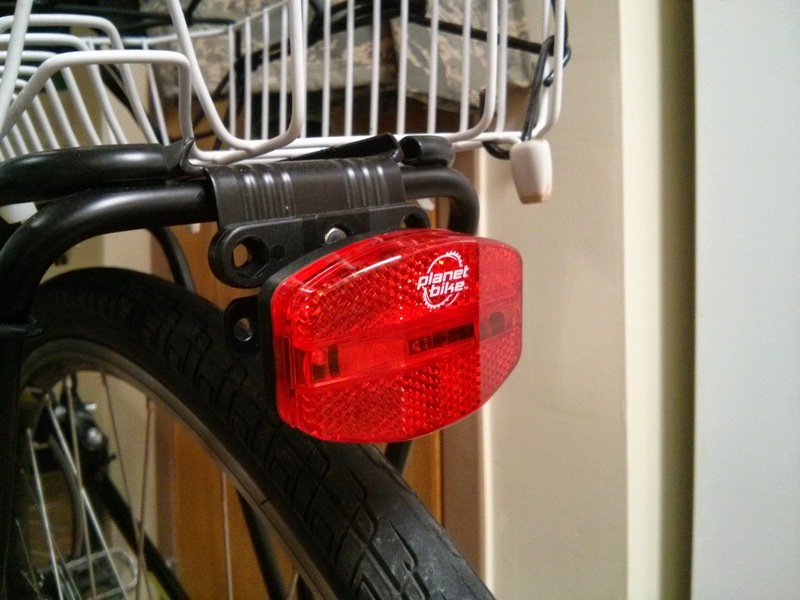 A Planet Bike Rack Mount Blinky rear light. 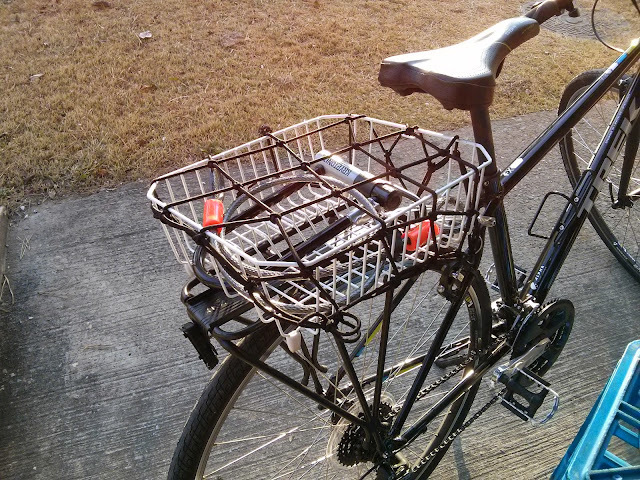 The bike came with a free rear light, but eventually the reflector part fell off as you can see in the above picture. No problems with the Planet Bike Blinky though! I like that it is easily removeable if I'm ever in an area that I have to worry about it being stolen.